Not all glasses are created equal when it comes to protecting your precious eyes. 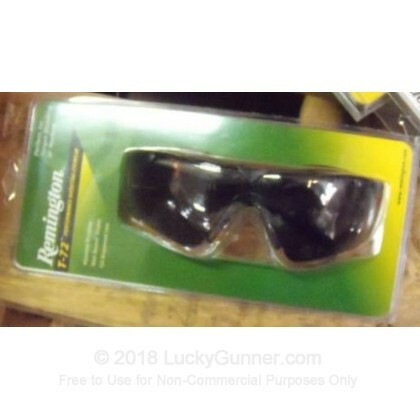 When shooting, you should only buy glasses that are certified to meet or exceed ANSI Z-87+ which this pair exceeds. 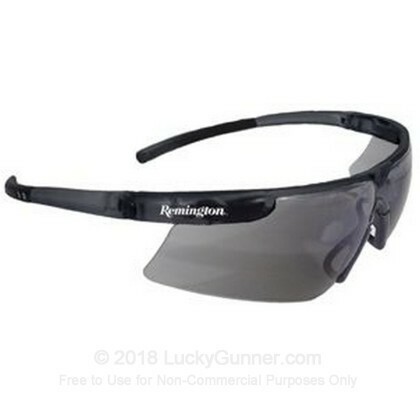 Remington's shooting glasses are designed to protect your eyes from casings that are ejected from your firearm. These polycarbonate lenses are an excellent choice to meet your safety needs. These glasses are also sporty and comfortable which is important so that you keep them on. They feature soft, non-slip temple pads as well as an adjustable soft rubber nose piece that provides a comfortable fit. Very nice product,a little dark unless very sunny day!Great shipping!